Whether you’re looking for high fashion or low budget, we have what you want. Drs. 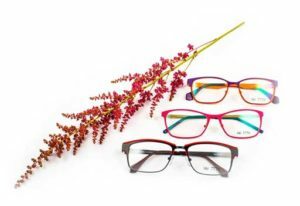 Bloom and Williams make it their goal to have the area’s best selection and variety of frames on hand in Weber Vision Care’s beautiful optical dispensary. Our skilled and friendly staff will help you find the frame to make you, well, uniquely you! Whether you’re looking for a plain but durable pair of specs or trying to make a fashion statement by wearing the latest eyewear styles from Europe, we have what you’re looking for! Click here to check out some of our featured lines. Plus, every new frame we sell is covered by our exclusive Weber Vision Care one-year frame warranty. But finding the proper pair of spectacles is more than just looking at frames: You simply have to try them on (that’s why we don’t sell frames online). Pick Frames That Complement Your Facial Features: Your favorite movie star’s or best friend’s frames may be perfectly suited to them– but terrible on you. Don’t worry, it’s not a reflection on your looks! We’ll help you find frames that take advantage of your facial features. your eyes should appear centered in the frame’s lenses. Pick Frames That Accommodate Your Prescription: Your prescription may determine the appropriate size or shape of frame for you. For example, if you are nearsighted and select large frames that require larger lens sizes, you may end up with unflattering lens distortions. On the other hand, if your frames are too small, you may lose access to side, or peripheral, vision and you may not be able to accommodate your bifocal or progressive lens prescription. Pick Frames That Complement Your Hair, Eye, & Skin Color: Consider the color of your hair, eyes, and skin before you select frames for your eyeglasses. In general, yellowish skin tone is considered “warm,” while bluish skin tone is considered “cool.” Softer, understated colors may be appropriate for warm skin tones, while darker, bolder colors may work for “cool” skin tones. You can also consider the more neutral, rimless glasses in lieu of obvious frames. Some frames make a style statement (think Manolo Blahnik stiletto heel silver metal floral ankle wrap with Swarovski® crystals). Want those? We’ve got them from a variety of innovative and high quality design houses with an eye toward style, whether your taste leans more towards the classics or you’re looking for something avant garde. Other frames are meant for comfort (think UGG® or your favorite bedroom slippers). Sound good? We’ve got a variety of lightweight frames that weigh but a few grams. And other frames are meant to last (think Red Wing® steel toed boots). That’s what you’d like? Okay, we have numerous styles in titanium, such as the top-of-the-line Lindberg Air Titanium® frames and memory metal (Flexon® and Turaflex®) frames that are virtually indestructible! Computer/Occupational: near variable focus lens ideal for computer (intermediate) distance & reading (near) distance Provides wide viewing area in upper & lower portions. Match Your Lenses To Your Lifestyle: Lenses are made from different materials, including glass, plastic, and polycarbonate that suit different functional requirements. Photochromic (Transitions) lenses automatically lighten or darken, depending on the surrounding light conditions. The new Younger Drivewear lenses, for example, are photochromic lenses designed specifically for driving! Polarized lenses reduce glare. We’ll help you sort through the various options to pick the proper lenses.Understand Lens Coatings: Most lenses should have coatings that provide scratch resistance and UV (ultraviolet ray) protection. We also usually recommend anti-reflective coating to reducing glare. This helps improve your vision and comfort whether you’re contending with your computer, your office’s fluorescent lighting, or an oncoming driver’s headlights while driving at night. 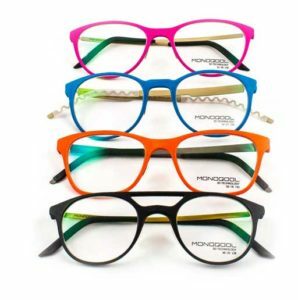 Best of all, anti-reflective coating also makes it seem as if you’re not even wearing lenses in your frames!Think About Lens Tints: We can also show you how adding a tint to your lenses can provide add to your spectacles, whether you’re looking for a touch of understated elegance or a bold fashion statement!